CANTON, Mass. (Feb. 3 2011) – Love is in the air…and in the freezer! 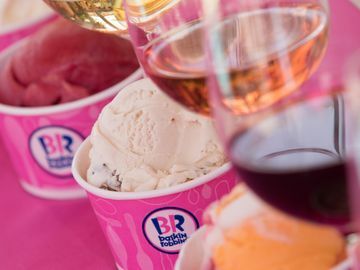 Baskin-Robbins today introduced the arrival of three new signature ice cream cakes to celebrate Valentine’s Day: Chocolate Dipped Strawberry Cake, Sweetheart Ice Cream Cake and Double Chocolate Chip Ice Cream Cake. It’s been said that the best way to reach someone’s heart is through their stomach; so what better way to say “I love you” than with a delicious, rich ice cream cake that is inscribed with a personal love note. “Valentine’s Day is about showing the person or people you love just how much you care. 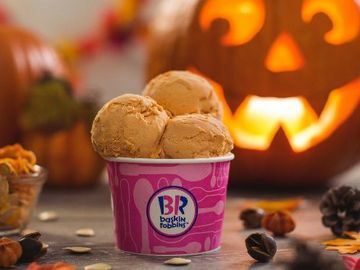 That’s why Baskin-Robbins is proud to offer a variety of delectable ice cream cakes that are the perfect dessert to cap a romantic dinner or provide a delicious treat to share with family and friends,” said Brian O’Mara, Vice President of Marketing at Baskin-Robbins. Whether customizing a Valentine’s Day cake with Baskin-Robbins’ February Flavor of the Month Heartbreak Healer, a decadent pairing of red chocolate hearts and chocolate chunks in delicious chocolate mousse ice cream or seasonal flavors such as Love Potion #31, a luscious white chocolate and raspberry ice cream infused with a raspberry ribbon, chocolate chips and dotted with raspberry-filled dark chocolate hearts, Baskin-Robbins’ ice cream cakes are the perfect way to melt anyone’s heart on February 14th. · Chocolate Dipped Strawberry Ice Cream Cake - Why send a plain paper Valentine to the ones you love when you can share a delicious frozen treat– a decadent ice cream cake! Made with layers of Very Berry Strawberry and Chocolate ice cream, the 6-inch fully decorated round cake is frosted with rich chocolate-flavored whipped topping and topped with a strawberry glaze. The Chocolate Dipped Strawberry cake can also feature a customized love note. Serves up to 8; $19.99. · Sweetheart Ice Cream Cake – A sweet and simple way to say “I love you,” the Sweetheart cake is ¼-round and dotted with adorable mini red icing hearts, a red chocolate heart and a single red rose. Serves up to 8; $12.99. · Double Chocolate Chip Ice Cream Cake – Nothing is more perfect for Valentine’s Day than chocolate, which is why this fully decorated 9-inch round cake is perfect for chocolate lovers. 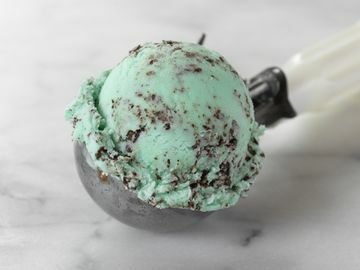 Featuring Chocolate Chip ice cream over Devil’s Food cake, it is frosted with chocolate flavored whipped topping and borders, and finished with a rich chocolate ganache glaze. Serves up to 16; $29.99. Baskin-Robbins Valentine’s Day cakes are available at participating stores while supplies last. 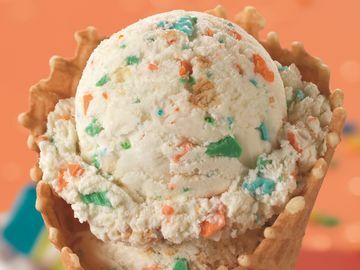 Please visit www.baskinrobbins.com/storelocator for a store near you. 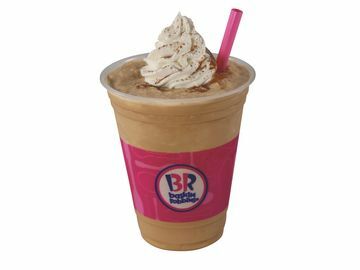 Become a fan on the Baskin-Robbins Facebook fan page, or follow @BaskinRobbins on Twitter.